In 2016 there were 50,266 performances of 3,269 shows in 294 venues, making it the largest ever arts festival in the world. The Fringe story dates back to 1947, when eight theatre groups turned up uninvited to perform at the (then newly formed) Edinburgh International Festival, an initiative created to celebrate and enrich European cultural life in the wake of the Second World War. Not being part of the official programme of the International Festival didn’t stop these performers – they just went ahead and staged their shows on the ‘Fringe of the Festival’ anyway – coining the phrase and our name ‘(Edinburgh) Festival Fringe’. Year on year more and more performers followed their example and in 1958 the Festival Fringe Society was created in response to the success of this growing trend. The Society formalised the existence of this collective of performances, provided information to artists, published the Fringe programme and created a central box office. Its constitution was written in line with the ethos that brought these theatre companies to Edinburgh back in 1947: that the Society was to take no part in vetting the festival’s programme. To this day that policy remains at the core of our festival and we’re proud to include in our programme anyone with a story to tell and a venue willing to host them. Edinburgh Festival Fringe Society is committed to the principles of the Scottish Business Pledge, a voluntary commitment to uphold standards of business practise and to embrace principles of fairness, equality, opportunity and innovation. Our commitments include: paying all employees at least the Living Wage; promoting staff development and training; supporting local businesses and investment in research and innovation. The Society also works closely with Festivals Edinburgh and Creative Carbon Scotland to reduce our negative environmental impacts. 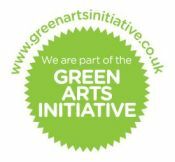 We're currently one of the growing number of arts organisations working towards a more sustainable Scotland through participation in the Green Arts Initiative, a project designed to support festivals, venues, companies and audiences in reducing their carbon footprint while participating in the arts. You can find everything you need to know about supporting the Society’s work or coming to the Fringe whether you’re an artist or an audience member, here on edfringe.com. Questions? Please don’t hesitate to contact us.